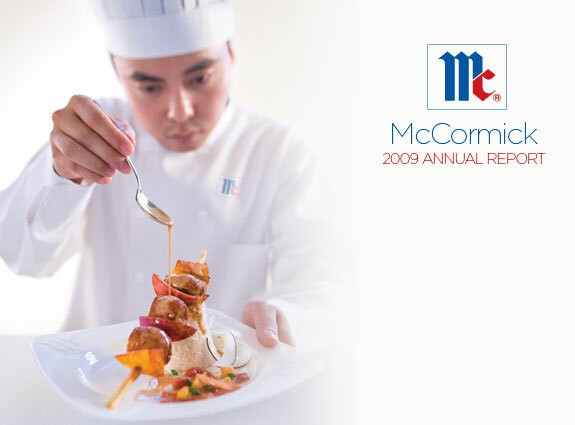 At McCormick, a passion for flavor is shared by employees around the world. This passion has been the foundation of our success throughout the Company’s rich 120 year-old history. It enabled us to deliver a year of solid growth and financial results during 2009 in the midst of a challenging economic environment. 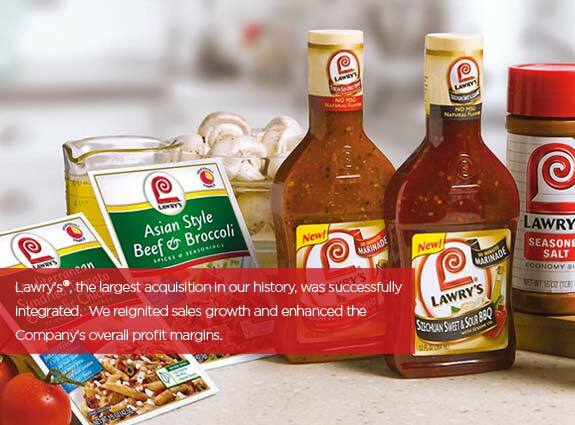 Copyright 2010 McCormick & Company Inc. All Rights Reserved. Certain statements contained in this report are “forward-looking statements” within the meaning of Section 21E of the Securities Exchange Act of 1934, including those related to: the expected results of operations of businesses acquired by us, the expected impact of the prices of raw materials on our results of operations and gross margins, the expected margin improvements, expected trends in net sales and earnings performance and other financial measures, annualized savings and other benefits from our restructuring activities, the expectations of pension funding, the holding period and market risks associated with financial instruments, the impact of foreign exchange fluctuations, the adequacy of internally generated funds and existing sources of liquidity, such as the availability of bank financing, our ability to issue additional debt or equity securities, and our expectations regarding purchasing shares of our Common Stock under the existing authorizations. Forward-looking statements are based on management’s current views and assumptions and involve risks and uncertainties that could significantly affect expected results. Results may be materially affected by external factors such as: damage to our reputation or brand name, business interruptions due to natural disasters or similar unexpected events, actions of competitors, customer relationships and financial condition, the ability to achieve expected cost savings and margin improvements, the successful acquisition and integration of new businesses, fluctuations in the cost and availability of raw and packaging materials, and global economic conditions generally which would include the availability of financing, interest and inflation rates as well as foreign currency fluctuations and other risks described in our Form 10-K for the fiscal year ended November 30, 2009. 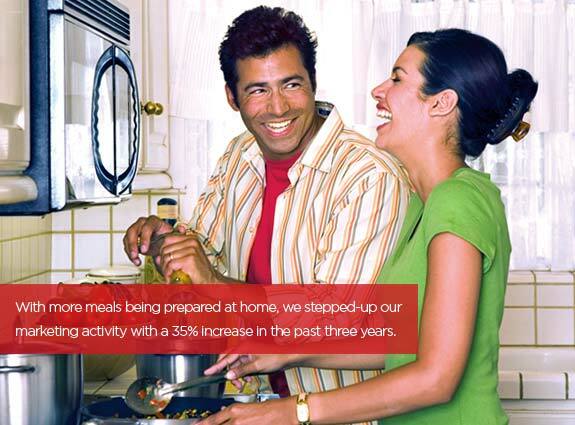 Actual results could differ materially from those projected in the forward-looking statements. We undertake no obligation to update or revise publicly any forward-looking statements, whether as a result of new information, future events or otherwise.